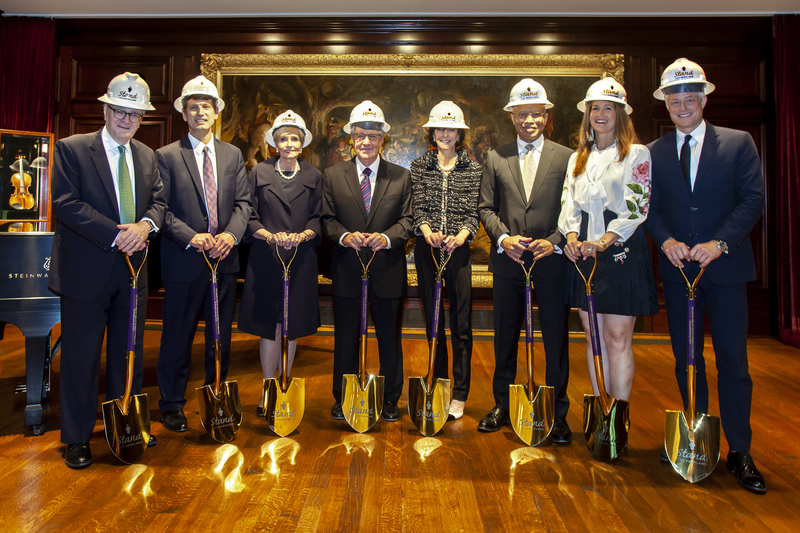 Donors throughout the Dallas community have given more than $40 million to create a new comprehensive breast center at Parkland. The news was announced by Parkland Foundation last evening at a ceremonial groundbreaking event to celebrate the fundraising milestone. The $40 million goal was reached well before the new center will open to patients in 2021. The lead gift of $15 million from the Moody Foundation was announced in May 2018 and their generosity will be recognized by naming the new center the Moody Center for Breast Health. From screening and diagnosis to surgery and recovery, Parkland breast health patients must currently access services at 10 separate locations. For patients this can be difficult and frustrating, and results in missed appointments and cancelled procedures. Time from screening to diagnosis and treatment determines survival for cancer patients. Square footage will increase 400 percent, from 8,000 to 40,000 square feet. Capacity will more than double, from 40,000 patient visits to more than 100,000 each year. Exam rooms will increase from nine to 24 and the number of mammography units from four to 10. By increasing access to care through the Moody Center for Breast Health, Parkland is creating equity in breast health care for patients across the community. The center will provide advanced 3-D breast imaging and expanded genetic counseling. Along with imaging, the center will house a multidisciplinary care team working together in the same space, improving continuity of care and reducing wait times leading to better outcomes for patients. Theodore and Beulah Beasley Foundation, Inc.
As the only public health system in Dallas County, Parkland currently treats 20 percent of all breast cancer cases in the county and provides breast health services for 44,000 patients each year. Those cared for at Parkland are racially and ethnically diverse, often younger and diagnosed at later stages in their disease than national and regional norms. Most are uninsured or underinsured and rely on Parkland for care and treatment. Parkland also has twice the national average of patients with Stage 3 and Stage 4 breast cancer. Parkland Foundation is now seeking to raise additional funds to add screening mammogram units inside Parkland’s community health centers in targeted, high-risk areas. Expanding breast health services in the community will provide additional opportunities for screenings, allowing for breast cancer to be detected and treated earlier for the best chance of survival.